Summary: Erickson Consulting Engineers, Inc. (ECE) is responsible for managing all design, permitting, engineering, construction and post-construction monitoring of an 800 ft long sloped geotextile container system and beach fill placement to provide protection of upland property and reduce high frequency flood damage to upland development. 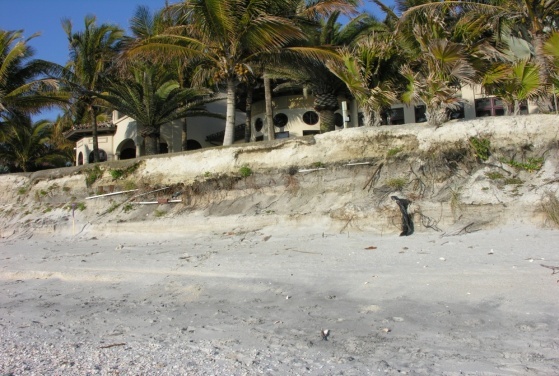 Challenges: ECE developed a highly innovative, unique structure to protect multiple pile-supported residences from high frequency storm events and erosion rates that have doubled in recent years. 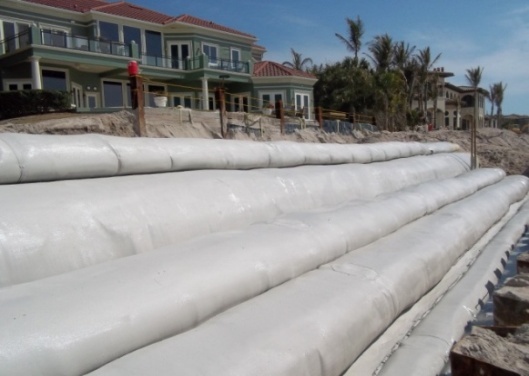 ECE was the second firm to secure permits for the geotextile container systems under the State’s new Rule, 62B-56 and was the first firm to permit such structures in Sarasota County. 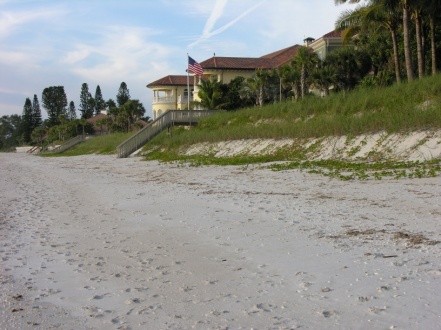 In addition, this system is located between two existing seawalls which presented an additional design challenge. The project was completed in 2011 at a cost of $1.2 million dollars.